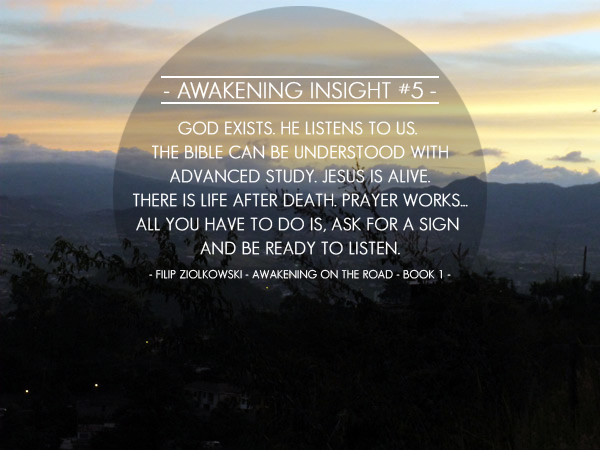 AWAKENING INSIGHT #5 God exists. He listens to us. Jesus is alive. AWAKENING INSIGHT #5 God exists. 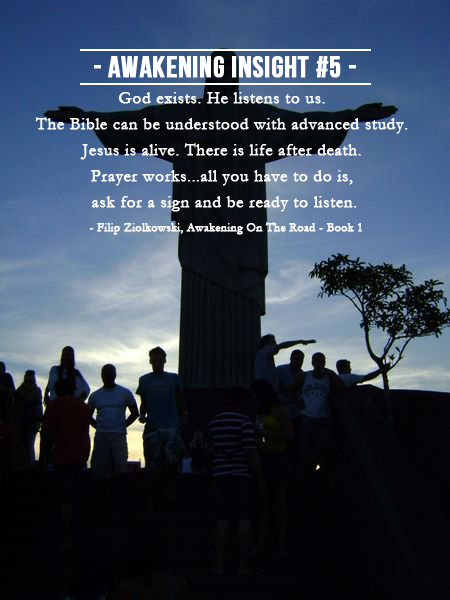 The Bible can be understood with advanced study. Prayer works...all you have to do is, ask for a sign and be ready to listen.